This is a short “guided tour” to introduce you to a number of different aspects of Taekwondo including, Class Structure , How We Train, Equipment, Testing and Tournaments. All classes are led by a black belt instructor. Our instructors receive both NCCP and first aid training. Following a warm up (consisting of stretching, cardio and conditioning), students receive training in kicking and punching techniques, forms and sparring. 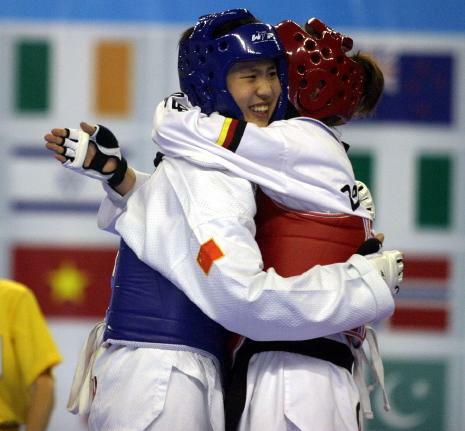 Students wear a uniform called a dobok, although a t-shirt and gym pants are sufficient for beginners. We employ a number of methods to train our students. For example, when working with partners, a student can either kick a slap pad to work on their accuracy or a kicking shield to power. Safety of all students is a paramount concern. To protect our students while they spar, they wear the proper gear including mouth guards, groin protectors, arm pads, shinpads (below left), chest protectors (below middle) and helmets (below right). Some equipment is available at the club for people to borrow although students eventually purchase their own equipment. 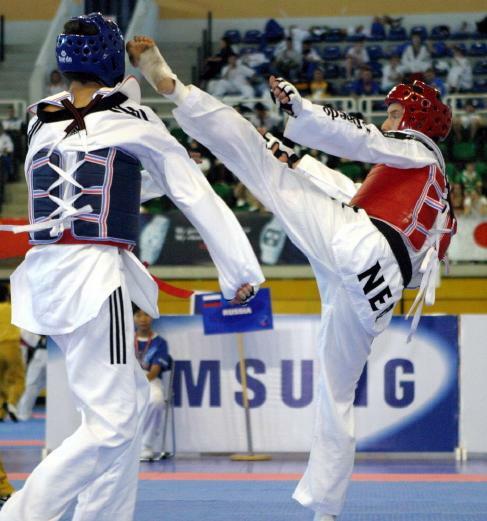 Students are tested periodically as they continue their Taekwondo training with the difficulty increasing with each test. 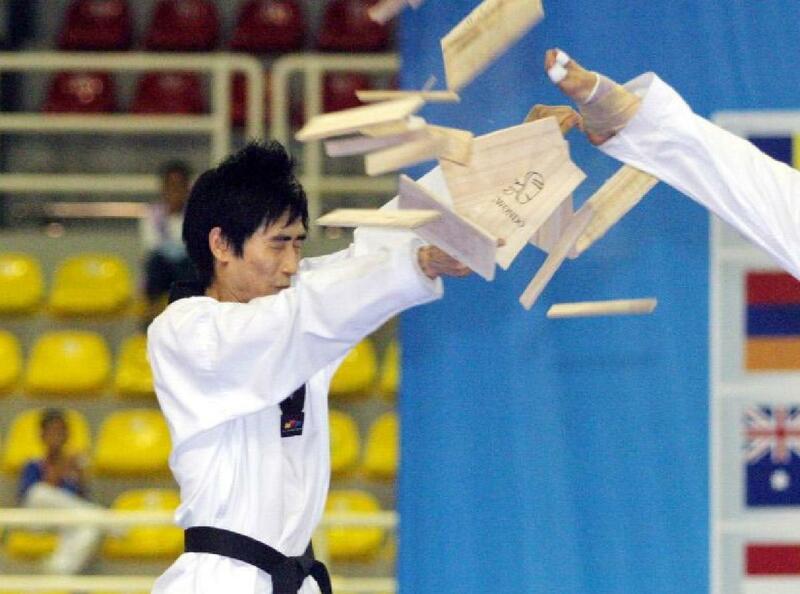 Tests include Korean teminology, hand and foot techniques, forms (explain what it is), sparring and eventually board breaks. School age students must also show that they have good academic standing and submit an essay. 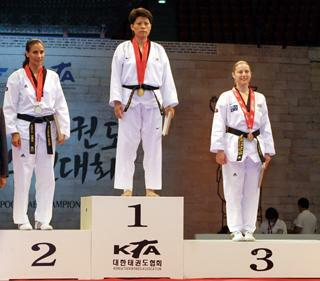 The Taekwondo belts can be found in the Student Resources page. Sparring is a part of intermediate testing and shows that a student can employ the techniques they are learning. Board breaks are a part of advanced tests and show a student’s accuracy, speed and power.